The first of its kind in the industry, the 120-volt corded PowerLuber’s motor provides the highest torque values in its class. 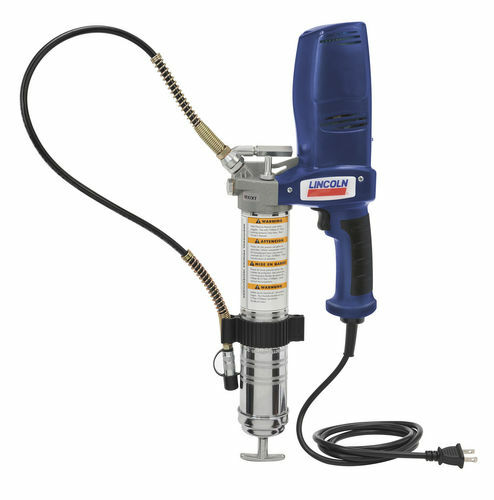 Its variable-speed trigger combines with a two-speed transmission for precise flow control. Ideal for filling grease reservoirs, the 120-volt grease gun is an excellent alternative to pneumatic lube tools. The 120-volt PowerLuber is unmatched in power, longevity, and performance.